I hate errands. You do too. It’s not so much that I hate them, but they are increased in time ten fold it seems when I have to drag max along. Now, literally everything I had to do was within a mile of everything else. So I was thinking that I could whip it all out in three hours or less. The park went well. Max only protested for about 5 minutes about leaving. So far, so good. 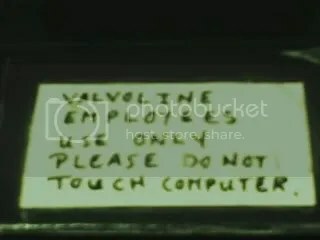 We headed down the street to the local Valvoline. There was only one other car there, so I figured I was in good shape. They had a sign that read, “We Check A/C” I am a sucker, so I bit. 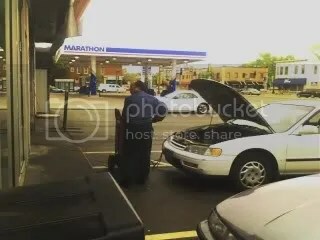 I walked upto the serviceman, handed him my keys and said, “I would like an oil change with the cheap oil, a new air filter, (I was well aware that they would rob me blind on that, but it was something I was willing to accept so I could save another stop) and could you please check the A/C. They started their business and came in three separate times to the waiting room to ask me for things I already specified and for things i specified I had no interest in when I walked in the door. 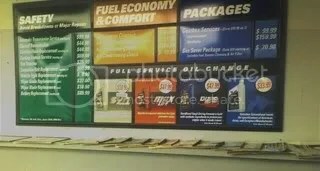 half-hour later the oil part was done, but they then were going to start the A/C charge….Half hour after that they informed me that my A/C was un-chargable. I had plenty of time to browse the “store” here is a sample of the reading they offered. There was also a computer in the shop, but they would not let me read blogs on it. They attempted to sell me everything on this list. I do not think he knew how to use this machine. ‘Cause it did not work. OK, moving on. Got some gas, paid at the pump. I would have made it out in three minutes flat, except that Max insisted on washing the entire car with the gas station’s squeegee. By now I am hungry, so we stop at Arby’s for some over-salted roast beef. We went through the drive-thru to save time, but upon driving away I realize my sandwich is frozen in the middle. Turn around, get a new sandwich, this time piping hot. Contact time. Now, I have a prescription, and all I needed to do was walk in, give my name and buy my contacts and walk out. Instead, I am put in queue with the rest of the people who need to have eye exams. Bleh. Half hour later I have my contacts. 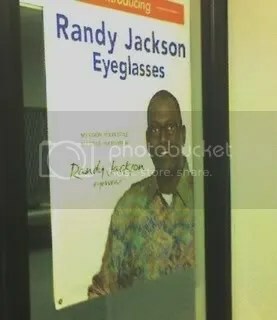 …apparently so does this guy??? Finally, we walked into Barnes and Noble where I had previously decided that I would buy Max some chapter books for our road trip so that I could bring three books and have enough to read for two weeks, as opposed to bringing 14 books. Why?! Why did I do this? There are seven billion books on their shelves and none of them looked interesting to Max with the exception of picture books or books with toys attached. Twenty minutes (which included 19 minutes of kicking and crying on the floor and one minute of book choosing) and we are out the door with three books in hand and one tear covered boy. I was THAT mom in the store today. 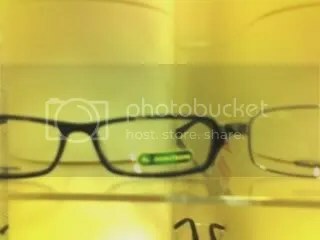 This entry was posted in Blogroll, entertainment, family, food, happiness, health, home, how to, kids, Life and tagged book store, eye doctoe, gas, John Deere, oil change, playground, Randy Jackson. Bookmark the permalink. Your post made me laugh. Oh how I remember those days! I once took a friends son shopping for new clothes/school supplies. I think the only thing I bought that day that wasnt Spider-Man themed was lunch, and I purposly did that to avoid full tantrum mode, I am terrifyed of full tantrum mode. I’m still laughing at this 30 minutes later. I’m not laughing at the situation, I’m laughing at the way you concluded the story. It’s that wit of yours that has me reading your blog every day. Michael- Luckily those days are almost one for me, when Max was 2, I couldn’t go anywhere. Not that he was always naughty, he was at times, but the idea of sitting still while I told the deli lady I wanted roast beef was beyond his comprehension. I didn’t throw tantrums, but I would have full blown sulk-fests where my feet refused to work and you had to drag me to the car. I would also run from my mom in stores so she had to find me.